You’re invited! 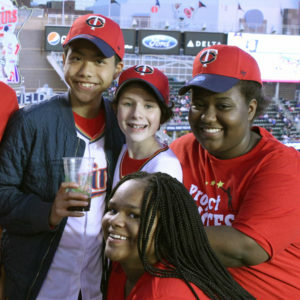 Project Success students and alumni, celebrate 25 years of Project Success and our 15-year partnership with the Minnesota Twins with game tickets on Friday, May 10! Tickets will be available at Target Field, Gate 29, at the Project Success tent between 5:00pm and 8:00pm. Thank you to the Minnesota Twins for generously providing game tickets, and to our premier event sponsor, Best Buy. Project Success will not be providing individual transportation for this event. However, free Metro Transit rides will be available for Project Success families on the day of the event. These passes will work beginning two hours before the event, and lasting up to two hours after the event. One pass is good for up to 8 people. After you download the pass, please print it or save it and plan to show it on your mobile phone when you board the buss.